Alistair Murdoch McCoist, MBE (/məˈkɔɪst/; 24 September 1962) is a Scottish former footballer, who has since worked as a manager, pundit and actor. McCoist began his playing career with Scottish club St Johnstone before moving to English side Sunderland in 1981. He returned to Scotland two years later and signed with Rangers. McCoist had a highly successful spell with Rangers, becoming the club's record goalscorer and winning nine successive league championships between 1988–89 and 1996–97. He later played for Kilmarnock. McCoist was inducted into the Scottish Sports Hall of Fame in 2007. He is also a member of the Scotland Football Hall of Fame, having gained 61 international caps. A prolific striker, he is currently ranked as the fifth highest goalscorer in the top tier of the Scottish football league system all time, having netted 260 times for Rangers and Kilmarnock between 1983 and 2001. Towards the end of his playing career, McCoist started his media career. Between 1996 and 2007, he was a team captain in the BBC sports quiz A Question of Sport. McCoist began to scale back his media commitments in 2007, when he became an assistant manager to Walter Smith at Rangers. He succeeded Smith as Rangers manager in 2011, but the club then suffered from serious financial difficulties. Rangers suffered liquidation in 2012 and were then placed in the fourth tier of Scottish league football. McCoist helped them win successive promotions to the second tier, but after a poor start to the 2014–15 season McCoist handed in his 12-months' notice in December 2014 and was placed on gardening leave. In September 2015 McCoist and Rangers mutually agreed to terminate his contract. Raised in East Kilbride, McCoist attended Maxwellton Primary and Hunter High School. His high school team coach was former Clyde and Scotland forward Archie Robertson, who was acknowledged by McCoist for his guidance and influence, but who died in 1978 just as his protégé's career was taking off. McCoist's first professional club was St Johnstone, having signed from Fir Park Boys Club in 1978. He made his debut for St Johnstone on 7 April 1979 in a 3–0 win over Raith Rovers. McCoist didn't score his first goal for the club until netting the third against Dumbarton in a 3–0 win in August 1980. He went on to score 23 goals in 43 appearances that season, including a consolation against Rangers in a 3–1 defeat in Scottish Cup replay. With several English clubs interested in his signature due to his form with both St Johnstone and the Scotland under-18 side including Sunderland, Wolverhampton Wanderers, Middlesbrough and Tottenham Hotspur, he started the 1981–82 season with four goals in five League Cup games including the opening goal in a 2–0 win over Celtic at Muirton Park and the consolation in a 4–1 defeat in the corresponding fixture at Parkhead. Sunderland manager Alan Durban signed McCoist in August 1981. The £400,000 transfer fee spent on McCoist made him Sunderland's record signing. His time at Sunderland was unsuccessful: McCoist scored only nine goals in 65 appearances for a side struggling at the foot of the English First Division. He only managed two goals during the 1981–82 season, his first coming against Brian Clough's Nottingham Forest side and his second a spectacular curling effort from the edge of the box against Southampton. Three goals in three pre-season games against Dundee, Dunfermline Athletic and former team St Johnstone followed by a goal against European Champions Aston Villa on the opening day of the 1982–83 in a 3–1 win looked to point towards big things to come. He followed this up with a goal against Brighton & Hove Albion meaning he had matched his previous seasons tally midway through September. October 1982 proved to be the highlight of McCoist's spell with Sunderland as he scored five goals in as many games against Norwich City, Southampton, Manchester City, Everton and Wolverhampton Wanderers. With seven goals scored by the end of October big things were expected but McCoist failed to score another goal in Sunderland shirt. Despite this he finished third top scorer for Sunderland in 1982–83, one goal behind Nick Pickering. At the end of the 1982–83 season he returned to Scotland and joined Rangers for a fee of £185,000. During his fifteen years with Rangers, McCoist achieved an array of honours, including ten league championship medals. This began with a title in the 1986–87 season and included the whole "Nine in a Row" period between 1989 and 1997. McCoist also won a Scottish Cup winners' medal and nine Scottish League Cup winners' medals. He was the first player to be Europe's top goalscorer twice in a row (in 1992 and 1993), as well as being named Scotland's "Player of the Year" in 1992. McCoist is Rangers' all-time leading goalscorer (with 251 league goals; 355 in all competitions). McCoist made his competitive début for the Ibrox side on the opening day of the 1983–84 season against St Mirren and scored twenty goals that year. The highlight was a hat-trick in the 1983 Scottish League Cup Final victory over Celtic. With Rangers still a team very much in the doldrums, McCoist managed 18 goals the following season as he began to endear himself to the club's fans. McCoist scored 24 goals in season 1985–86. He made his international debut against the Netherlands in 1986, the same year Graeme Souness arrived at Rangers to begin the Ibrox revolution. McCoist scored another hat-trick in the Glasgow Cup final against Celtic to bring further accolades his way, and he was an ever-present in Rangers' title-winning side of 1987, scoring 33 goals along the way. In September 1987 McCoist was convicted of assault and fined £150 at Hamilton Sheriff Court. This followed an attack on a 19-year-old outside an East Kilbride nightclub in the early hours of 5 December 1986. A verdict of not proven was returned against Ted McMinn and Iain Durrant in relation to the incident. McCoist and Durrant were each fined £1500 by Rangers. His tally of 31 goals in 1987–88 could not prevent Celtic regaining the league title and, although Rangers recaptured their crown in 1988–89, McCoist played only 19 games. That title win was the first of nine-in-a-row, but McCoist found himself in and out of the first team for the first three of those successes. When Walter Smith took over from Souness, McCoist returned to the fore and won both Players' Player of the Year and the Sportswriters' award after scoring 34 goals in season 1991–92 as Rangers completed a domestic double. Those goals won him the European Golden Boot – the first time a Scot had won the award – and he repeated that feat a year later, despite missing the last seven matches of the season after breaking his leg playing for Scotland against Portugal in April (also missing the Scottish Cup Final). In typical fashion, he returned from the injury by coming off the bench to score an overhead kick to win the 1993 League Cup final against Hibernian.He scored 34 Premier Division goals in both the 1991-92 and 1992-93 seasons. His appearances were limited over the next two seasons as a result of other niggling injuries (37 games and 12 goals, less than his typical output for one campaign), and also had to compete with a string of new signings between 1993 and 1995, including Gordon Durie and Brian Laudrup, for the forward positions. McCoist did however manage to outlast unsuccessful new signings at Ibrox, namely Peter van Vossen and Oleg Salenko. After recovering his fitness, he played more regularly in the 1995–96 season, scoring 16 league goals, though he missed another Scottish Cup final at its end after scoring in the Old Firm semi-final, something he also achieved in 1992 and would again in 1998. A tenth Premier Division winner's medal and a ninth League Cup win (scoring twice) followed in 1996–97. His last appearance in a Rangers jersey came in the 1998 Scottish Cup Final when he scored in a 2–1 defeat by Heart of Midlothian. At Rangers, McCoist became the club's record goalscorer of all time, netting 355 goals in all competitions. In addition to this, McCoist holds the club records for number of league goals scored, number of Scottish League Cup goals scored and the most goals scored by a player in European competitions with 251, 54 and 21 respectively. McCoist is also third in the all-time appearance table for Rangers, having made 581 appearances for the club. McCoist finished his career at Kilmarnock, where he spent three seasons alongside long-time Rangers teammate and friend Ian Durrant. After recovering from another broken leg in 1999 (sustained in a match against Rangers) during the last months of his Killie spell he was an unused substitute in the 2001 Scottish League Cup Final defeat to Celtic, then had a penalty saved by Stefan Klos at Rugby Park in what proved to be his final match against his old club, being denied a cameo appearance from the bench at Ibrox by his manager Bobby Williamson a few weeks later as Kilmarnock were already losing heavily – instead he received an ovation from supporters on the field after the final whistle. His final game at the age of 38 was at home to Celtic on the last day of the SPL campaign on 20 May 2001, a 1–0 win which enabled Kilmarnock to qualify for the following season's UEFA Cup. Coincidentally, McCoist was substituted off in that match while fellow striker Kris Boyd came off the bench to make his debut; he too went on to be a prolific goalscorer for Rangers. McCoist appeared 10 times for the Scotland national under-18 football team. He made his debut in a European Under-18 Championship qualifier against Iceland netting the only goal of the game after 19 minutes. He followed this up by scoring in the return leg, a 3–1 victory which secured Scotland's qualification for the following summer's European Under-18 Championships. He found the net again in his third appearance, a 3–1 victory over Northern Ireland. His next three appearances came in the prestigious Monaco Youth Tournament, a 1–0 defeat to West Germany, a 2–0 victory over Switzerland and a 1–1 draw with France taking his tally to five goals in six appearances. McCoist was then selected for Scotland's semi-professional side for a four team tournament in the Netherlands however he failed to make an appearance. At the European Under-18 Finals Scotland found themselves in a group with Austria, Spain and defending Under-18 Champions England. McCoist started all three games, as Scotland defeated both Austria and England 1–0 with McCoist netting the winner against the Auld Enemy meaning the final group game against the Spanish would decide the group. McCoist scored with a free-kick in a 1–1 draw. This result saw Scotland eliminated on goal difference. He started only one game at the 1990 World Cup in Italy (coming on as a late substitute in the other group games) after being an integral part of the qualification bid. In March 1993 he broke a leg against Portugal in a disastrous qualifying match for the next World Cup (Scotland lost 5–0 and failed to progress). McCoist captained Scotland once, against Australia on 27 March 1996. He went on to score the winner after 55 minutes in a 1–0 win at Hampden Park. He scored one major tournament goal: a spectacular long-range drive at UEFA Euro 1996 against Switzerland, which was also his last goal for his country; he had started all three of Scotland's matches at UEFA Euro 1992 but failed to score, and was not selected in the squad for the 1998 World Cup despite having scored 16 goals during the preceding season. He made his last two appearances for Scotland after moving from Rangers to Kilmarnock in summer 1998, with his final outing a 3–2 victory over Estonia in October of that year. McCoist is Scotland's fifth-highest scorer, with 19 goals from his 61 caps. McCoist returned to Rangers as an assistant manager to Walter Smith in January 2007. After Rangers' victory over Queen of the South in the 2008 Scottish Cup Final, Smith revealed that McCoist had been in charge of the team for the entire cup campaign. On 22 February 2011 he was announced as the new Rangers manager, with effect from June 2011. McCoist's first competitive game in charge of Rangers came on 23 July 2011, a 1–1 draw at home to Hearts on the opening day of the 2011–12 SPL. After the game McCoist complained to BBC Scotland about a report that he argued misrepresented his view on violence after Old Firm derbies and the cost of policing the matches. The BBC stood by the report but upheld the complaint about the way the piece had been edited. On Tuesday 26 July 2011, the BBC issued an apology to McCoist and he, in turn, dropped his ban on speaking to them. In April 2011, McCoist had called for Rangers supporters who sung offensive chants to be arrested. McCoist took charge of his first European game on 26 July 2011 at home to Swedish side Malmö FF in the first leg of a UEFA Champions League third round qualifier, losing 1–0 to suffer his first defeat as Rangers manager. His first win came on 30 July, away to St Johnstone with a 2–0 scoreline, goals coming from Nikica Jelavić and Steven Naismith. McCoist's first Champions League campaign ended at the first hurdle after drawing 1–1 away to Malmo in the Third qualifying round second leg, losing 2–1 on aggregate and having Madjid Bougherra and Steven Whittaker sent off. Despite dropping into the Europa League, McCoist's first European campaign as Rangers manager ended early after another defeat over two legs in the play-off round by NK Maribor. McCoist made a promising start to his first SPL campaign as manager, with Rangers topping the SPL after the first five fixtures and conceding only one goal. His first Old Firm match as manager was a 4–2 win over Celtic at Ibrox, but his side were shocked by First Division side Falkirk in the League Cup a few days later. McCoist suffered a fourth cup competition exit of the season on 5 February 2012, in a 2–0 defeat at home to Dundee United in the Scottish Cup fifth round. Despite being within four points of Celtic at the top of the table in February, having been fifteen points clear of their arch rivals at one stage, Rangers' SPL title challenge was virtually ended after the club entered administration on 14 February 2012 and was docked ten points as a consequence. McCoist was able to see out the season with Rangers finishing in second place despite the points deduction. His popularity increased with Rangers fans after passionately committing his future to the club in the middle of financial crisis. Following the rejection of a company voluntary arrangement by HM Revenue & Customs, the business and assets of Rangers were sold to a consortium led by Charles Green. During this process there was heavy press speculation that McCoist would leave the club, but he decided to stay after talks with Green. McCoist then worked alongside Green as the club were placed in the Scottish Third Division. Rangers won the Third Division championship and promotion to the third tier. Rangers exited the Scottish Challenge Cup by losing to Queen of the South in a penalty shootout. They defeated Motherwell in the League Cup, but lost 3–0 to Inverness in the quarter final at Ibrox. Rangers also suffered a 3–0 defeat in the Scottish Cup, against Dundee United at Tannadice. Rangers won the Scottish League One championship and promotion to the second tier, as they became the first Rangers side in 115 years to go an entire league season unbeaten. They also progressed to the semi-finals of the Scottish Cup, but lost 3–1 to Dundee United at Ibrox. Rangers reached the 2014 Scottish Challenge Cup Final, but lost 1–0 after extra time to Raith Rovers at Easter Road. They suffered a first round defeat in the Scottish League Cup at Forfar Athletic. Rangers fell behind Hearts in the 2014–15 Scottish Championship, as they lost 2–1 at home and 2–0 away to the Edinburgh club. Rangers progressed to the semi-finals of the 2014–15 Scottish League Cup, but suffered an embarrassing defeat in the 2014–15 Scottish Challenge Cup against Alloa Athletic. McCoist submitted formal notice of his intention to resign as manager in December 2014 and began serving a 12-month notice period. Later in December, McCoist left his position with Rangers and was placed on gardening leave. This continued until September 2015, when McCoist and Rangers agreed to terminate his contract. Scotland score listed first, score column indicates score after each McCoist goal. McCoist is also known for his television work. He was a team captain on the BBC's A Question of Sport from 1996 to 2007, making a record 363 appearances on the show. He also co-presented a late night chat show McCoist and MacAulay for BBC Scotland from 1998 to 1999 alongside comedian Fred MacAulay. 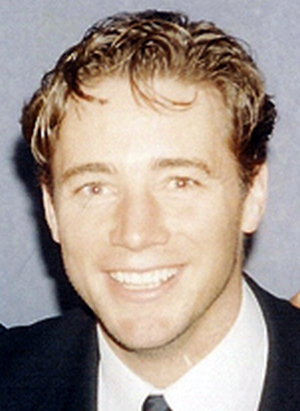 In 2001, McCoist won Sports Presenter of the Year at the TRIC Awards. In 2000, McCoist also starred in the film A Shot at Glory alongside Robert Duvall, playing Jackie McQuillan, a fictional legendary ex-Celtic player. McCoist, along with John Motson, appeared as commentators for the FIFA video games series by EA Sports. They were replaced by Clive Tyldesley and Andy Gray for FIFA 2006. McCoist has been a regular pundit for ITV Sport's football coverage. In 2010, he stood alongside English football commentator Martin Tyler as co-commentator for matches such as Germany vs Australia in the 2010 World Cup for ESPN. McCoist worked for ITV during the 2018 World Cup, and his partnership with main commentator Jon Champion was praised by various media sources. From the start of the 2017-18 season McCoist has worked as a studio pundit for BT Sport's coverage of the SPFL and the Scottish League Cup. He regularly appears on their coverage alongside Darrell Currie, Chris Sutton and Stephen Craigan. On 10 June 1994, McCoist was awarded an MBE for services to football. He was inducted into the Scottish Sports Hall of Fame in 2007 and is also a member of the Scottish Football Hall of Fame. McCoist was inducted into the Scotland national football team roll of honour in March 1996, when he was awarded his 50th international cap. McCoist's first wife was Allison. After meeting in 1981, they married in 1990 and divorced in 2004. They had three children, all boys: Argyll, Alexander and Mitchell. He had two more sons (Arran and Harris) with his second wife, Vivien. ^ "Where the boy done good". The Herald. 22 February 1994. Retrieved 23 May 2017. ^ a b "History - Significant Saints - Ally McCoist". St Johnstone FC Official Website. Archived from the original on 12 October 2014. Retrieved 8 October 2014. ^ Turnbull, Simon (14 January 2007). "Stokes and the McCoist parallel". The Independent. London. Retrieved 4 October 2009. ^ a b c d e f g h i j k l m n "Ally McCoist: The life and times of a Rangers legend". Daily Record. 12 December 2014. Retrieved 11 November 2017. ^ Paul, Ian (13 August 1981). "McCoist puts Celtic on road to defeat". The Glasgow Herald. p. 20. Retrieved 8 October 2014. ^ Paul, Ian (20 August 1981). "Celtic are simply leagues ahead". The Glasgow Herald. Retrieved 8 October 2014. ^ a b c d e "Ally McCoist - Sunderland FC". Sporting Heroes. Retrieved 8 October 2014. ^ a b c d e f g "Ally McCoist & Rangers: A long association as player and manager". BBC Sport. 21 December 2014. ^ "Life and times of Ally McCoist". BBC Sport. 21 May 2001. ^ "Now you know: Ally McCoist was Rangers' hat-trick hero when beating Celtic 3-2 in 1984 League Cup Final". Evening Times. 12 July 2017. Retrieved 11 November 2017. ^ "Celtic 2-3 Rangers, League Cup (newspaper report scans)". The Celtic Wiki. 26 March 1984. Retrieved 11 November 2017. ^ "Rangers 3-2 Celtic, Glasgow Cup Final - Pictures (newspaper reports)". The Celtic Wiki (hosting site for scans). Retrieved 27 November 2017. ^ a b "On This Day: League Cup 1993". Rangers F.C. 24 October 2016. Retrieved 11 November 2017. ^ "Past meetings: Celtic without a Scottish Cup semi-final win over Rangers since 1925". Evening Times. 21 April 2017. Retrieved 11 November 2017. ^ a b "Football: Rangers revel in records". The Independent. 25 November 1996. Retrieved 11 November 2017. ^ Philip, Calum (17 May 1998). "Scottish Cup Final: Stage of dramatic Hearts". The Independent. London: Independent News & Media. Retrieved 20 March 2015. ^ "Kilmarnock 1–2 Rangers". Rangers F.C. 11 April 2001. Retrieved 23 July 2018. ^ "Rangers 5–1 Kilmarnock". Rangers F.C. 12 May 2001. Retrieved 23 July 2018. ^ "McCoist takes final bow". BBC Sport. 20 May 2001. Retrieved 11 February 2010. ^ "Rangers 1–1 Hearts". BBC Sport. 23 July 2011. ^ "McCoist bans BBC after accusing them of twisting sectarianism programme". Daily Mail. 26 July 2011. ^ "BBC Radio Scotland to cover Rangers v Malmo tie". BBC Sport. 26 July 2011. Retrieved 26 July 2011. ^ "Gers assistant Ally McCoist wants chant fans arrested". BBC Sport. 19 April 2011. ^ "Rangers 0–1 Malmo". BBC Sport. 26 July 2011. ^ "St Johnstone 0–2 Rangers". BBC Sport. 30 July 2011. ^ "Malmo 1–1 Rangers (agg 2–1)". BBC Sport. 3 August 2011. ^ "Rangers 1–1 NK Maribor (agg 2–3)". BBC Sport. 25 August 2011. ^ "Rangers 4–2 Celtic". BBC Sport. 18 September 2011. ^ "Falkirk 3–2 Rangers". BBC Sport. 21 September 2011. ^ "Rangers 0–2 Dundee Utd". BBC Sport. 5 February 2012. ^ "Rangers 3–1 Dundee Utd". BBC Sport. 5 November 2011. ^ "Rangers' 10-point deduction confirmed by SPL". BBC Sport. 14 February 2012. ^ "McCoist rallying call! 'We don't do walking away' as Rangers crisis grows". Daily Mail. 17 February 2012. ^ "McCoist on the brink at Rangers as crisis club hurtle towards liquidation". Daily Mail. 14 June 2012. ^ "We want Ally to stay: McCoist has Ibrox future after talks with new chief Green". Daily Mail. 15 June 2012. ^ "Rangers: Charles Green accepts Division Three vote". BBC Sport. 13 July 2012. ^ "Rangers star Lee McCulloch hails third division win as his 'favourite' title". The Courier. Dundee. 1 April 2013. Archived from the original on 4 April 2013. ^ Yorke, Graeme (31 March 2013). "Rangers boss McCoist delighted to be crowned champions despite Montrose draw". Daily Mail. ^ "Ramsdens Cup: Rangers 2–2 Queen of the South (3–4 pens)". BBC Sport. 18 September 2012. ^ "Forfar 2 Rangers 1". BBC Sport. Retrieved 29 November 2017. ^ "Rangers: Ally McCoist 'still committed' after handing in notice". BBC Sport. 12 December 2014. Retrieved 11 September 2015. ^ McLaughlin, Chris (21 December 2014). "Ally McCoist: Rangers manager leaves club & on gardening leave". BBC Sport. Retrieved 11 September 2015. ^ "Rangers & Ally McCoist reach contract termination agreement". BBC Sport. 10 September 2015. Retrieved 11 September 2015. ^ "Ally McCoist". Soccerbase. Retrieved 8 October 2014. ^ "Ally McCoist". National Football Teams. Retrieved 8 October 2014. ^ "Ally McCoist". The Stat Cat. Retrieved 8 October 2014. ^ "McCoist, Ally". FitbaStats. Retrieved 8 October 2014. ^ "Scotland: McCoist, Ally 1987-88". FitbaStats. Retrieved 8 October 2014. ^ "Scotland: McCoist, Ally 1988-89". FitbaStats. Retrieved 8 October 2014. ^ "Scotland: McCoist, Ally 1989-90". FitbaStats. Retrieved 8 October 2014. ^ "Scotland: McCoist, Ally 1990-91". FitbaStats. Retrieved 8 October 2014. ^ "Scotland: McCoist, Ally 1991-92". FitbaStats. Retrieved 8 October 2014. ^ "Scotland: McCoist, Ally 1992-93". FitbaStats. Retrieved 8 October 2014. ^ "Scotland: McCoist, Ally 1995-96". FitbaStats. Retrieved 8 October 2014. ^ "Ally McCoist's managerial career". Soccerbase. Centurycomm. ^ Hayes, Dean (2007). Rangers 100 Heroes of the modern game. Mercat Press. p. 87. ISBN 978-1-84183-125-1. ^ Reynolds, Jim (27 October 1987). "Bad advert for football mars a classic cup final". The Glasgow Herald (scan hosted at 'The Celtic Wiki'). Retrieved 11 November 2017. ^ Reynolds, Jim (26 October 1987). "Spot-on Rangers earn the cheers". The Glasgow Herald. p. 9. Retrieved 11 November 2017. ^ "Now you know: Ally McCoist double helped Rangers defeat Aberdeen 3-2 in 1988 League Cup Final". Evening Times. 10 May 2017. Retrieved 11 November 2017. ^ "1990/91 - Rangers 2-1 Celtic (aet)". BBC Sport. Retrieved 11 November 2017. ^ McKinney, David (26 October 1992). "Football: Smith's slip gives Rangers the prize". The Independent. London. Retrieved 11 November 2017. ^ José Luis, Pierrend (26 March 2005). "European Footballer of the Year ("Ballon d'Or") 1987". RSSSF. Retrieved 24 October 2016. ^ "Question of sport history". BBC Sport. Retrieved 11 December 2012. ^ "TRIC Awards – Winners". BBC News. 13 March 2001. Retrieved 14 September 2013. ^ Seale, Jack (26 June 2018). "The surprise team of the World Cup? Jon Champion and Ally McCoist". The Guardian. Retrieved 8 August 2018. ^ Hurrey, Adam. "Ally McCoist and Jon Champion: World Cup 2018's commentary dream team". I newspaper. Retrieved 8 August 2018. ^ "McCoist MBE scores in honours list". www.heraldscotland.com. Retrieved 14 November 2017. ^ Brown, Alan; Tossani, Gabriele (14 April 2016). "Scotland - International Matches 1996-2001". RSSSF. Retrieved 10 June 2016.